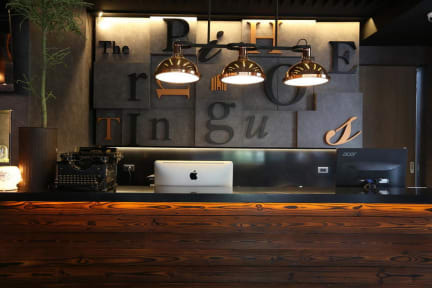 The Printing House Poshtel is an industrial loft-style boutique hostel situated on Bangkok’s Dinso Road, in a district that is close to the Grand Palace, Sanam Luang, Golden Mount, and many other sites of great historical interest. The building itself is more than 70 years old, and was initially used as the first textbook printing house for Thai educational institutions. To retain this important link with the past, we have carefully renovated the lovely old structure and given our various outlets names that evoke its former role.